May is a lovely time of year to visit Eastern Europe. The crowds won't be as thick as during high tourist season in the summer and temperatures will be comfortable (although some cities are rainy during May). 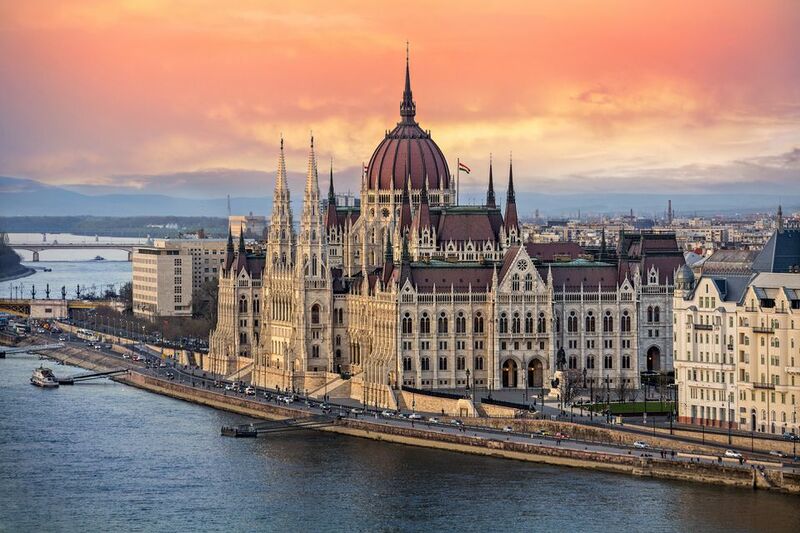 Planning a trip to Eastern Europe in May will offer many of the benefits of summer travel without some of the inconveniences, such as higher rates and impenetrable crowds, that are a part of summer travel to the region. Click on the link for each city to get in-depth information about Eastern European weather and events in May. Prague's May calendar features some national holidays (Labor Day and Liberation Day) and popular festivals. Don't miss the Prague Spring International Music Festival, Czech Beer Festival, or Prague Food Festival. The trees are in bloom, temperatures warm up, and patios open for outdoor dining making this month an ideal time to visit the capital of the Czech Republic. In May, Budapest hosts Rosalia, Hungary's only festival dedicated to rosé wines, sparkling wines, and champagnes. Foodies will want to check out the Gourmet Festival, a prestigious gastro event featuring chocolate, cheese, sausages, and more of the best that Budapest has to offer. Weather-wise, the temperature is perfect for sightseeing because it's neither too cold nor too hot; however, most days are cloudy and it gets rainier toward the end of the month. On Sundays starting in mid-May, Royal Lazienki Park in Warsaw is filled with beautiful classical music by Fryderyk Chopin, Poland’s most famous composer. Live jazz music can also be found in the capital city's lounges. May weather tends to be cloudy and rainy. Visitors to Slovakia's capital city of Bratislava during the month of May can experience all the delicious foods served at the Slovak Food Festival, the city's biggest picnic held annually at the Bratislava Castle, former home of the Hungarian crown jewels. The historic old town, where the castle is located, is flush with late spring warmth this time of year and begs to be explored. So many events occur in Krakow, Poland, in May that you'll be hard-pressed to choose from them all. One of the biggest events is Juwenalia, a time when local university students go wild celebrating before their summer exams. The fine weather this time of year is perfect for attending the parades and concerts during Juwenalia as well as for taking a stroll in Krakow's historic center. Lithuania's capital city of Vilnius dances into May with festivals such as Skamba Skamba Kankliai, which is a traditional folk music festival. This is a great time to visit because May is one most beautiful months of the year in Vilnius with its warmer temperatures, blossoming flowers, plentiful greenery, and longer and sunnier days. The White Nights Festival begins in May in St. Petersburg (and many other Eastern European cities), paying homage to the eerie light that lingers well into the evening. It offers a wide range of concerts and performances for the sleepless from May through July. Pack more formal attire and a sweater or jacket for White Nights events in St. Petersburg in May.